I started out with these Papers that is from Echo Park’s Bundle of Joy, I love that they are so pink and cute. It’s a bit to pink for my taste but it’s perfect for my grandmother. Then I colored Breezy in matching colors, with copics of coarse. It was ages sense I colored her, I even think it was when i got my first copics. For the background around her i made a dotted background, very lightly to look like heaven or clouds. I cut the image with my nestabilities and then wrote the sentiment on the edge. The decorations are just some brads, a satin ribbon and rhinestones, I do think the card looks a bit bare but it’s finished and ready to be sent so that is a big victory for me right now. The layout is from this weeks challenge on Sketch Saturday. The inside is inspired by the outside but still leaves a lot of space for a message. So after my remake I decided to make a card with my Boo stamps- that i adore but haven’t used yet. 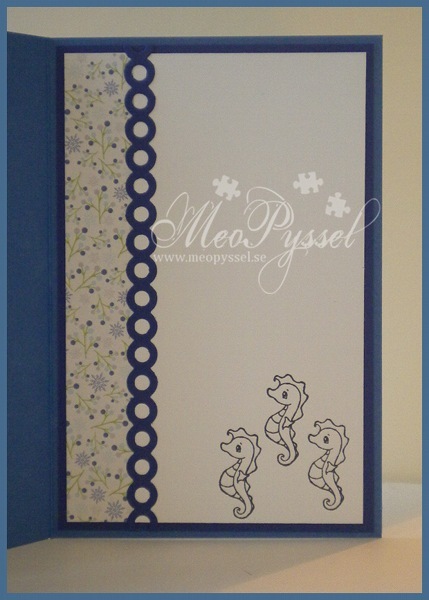 The card is 11×15 cm and I based the card of this weeks Sketch Saturday layout. I just love the Boo-stamps and especially this one. When i see the ghost I just wanna hug them both. I tried to colors the doll in standard halloween-colors but I kept the card fairly colorless. 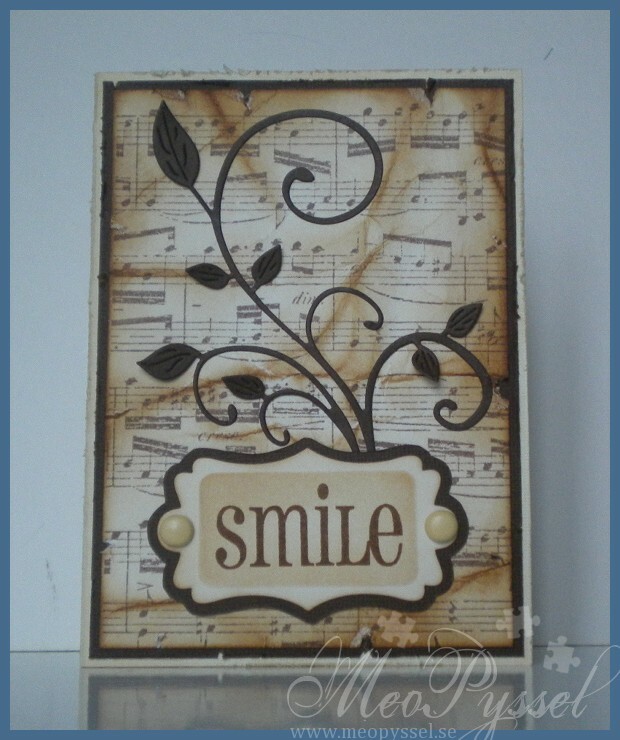 The paper is from Doodlebug’s collection and the sentiment is from AmyR Sentiments. 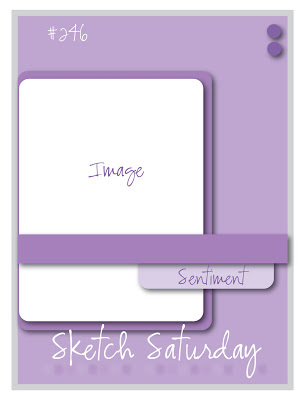 Stamp: CC Design – Sweet November – Boo’s Fun, AmyR Sentiment – Ghostly Greetings. Welcome to another week on the Sweet Stampin’ Challenges. This weeks challenge is Vintage. For this week we have two lovely sponsors: Joanna Sheen wit a £10 voucher and Crafy Ribbons. Oh I found this challenge really hard. I have no idea to get the softness that i associate with vintage cards. But after some brainstorming i came of with wrinkly and brown for my card. I started out with stamping this music background from Hero Arts in Rich Cocoa. I then wrinkled the paper and distressed it with antique linen and vintage photo. I then tore the edges and the scraped them a bit. I wanted to keep the card clean due to the rich colors but it looked so empty i just needed to fill the space in someway so i dug out this flourish-die. The flourish stem is glued down but the leafs i put up a bit with gluedots. 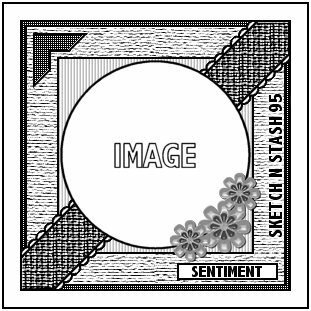 Stamp: CC Design – Amy R Sentiments – Big Words. Hero Arts – Music Background. Ink: Memento – Rich Cocoa. Distress Ink – Vintage Photo, Antique linen. 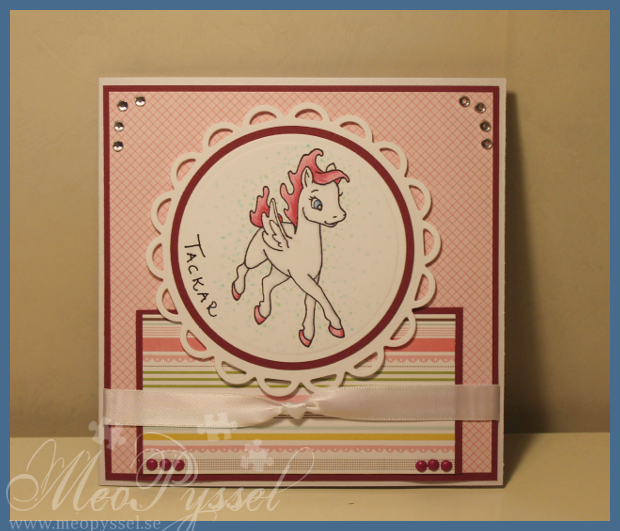 Dies: Spellbinders -Shapeabilities – Grommet tags. Cheery Lynn – Fanciful Flourish. 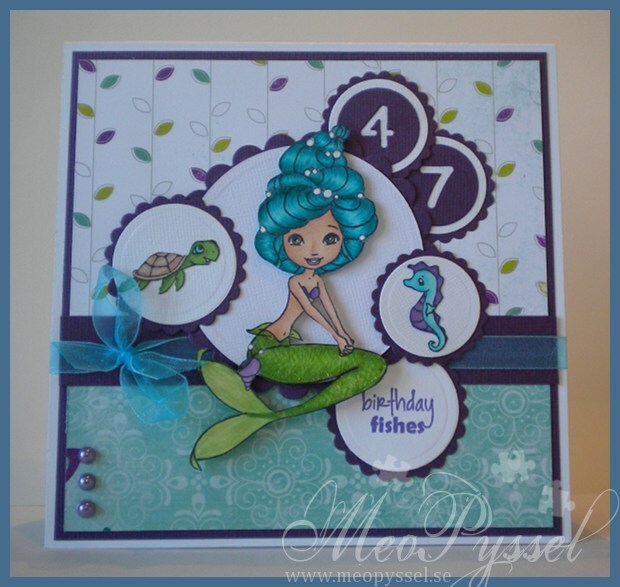 Welcome to another challenge over at the Sweet Stampin’. This weeks theme is Inspired by a Song or Film. Our monthly sponsor with a £10 voucher is Joanna Sheen. And this weeks weekly sponsor is Papelitos Stamps who will give 3 digis for our first place-winner and 1 digi to the second place-winner. 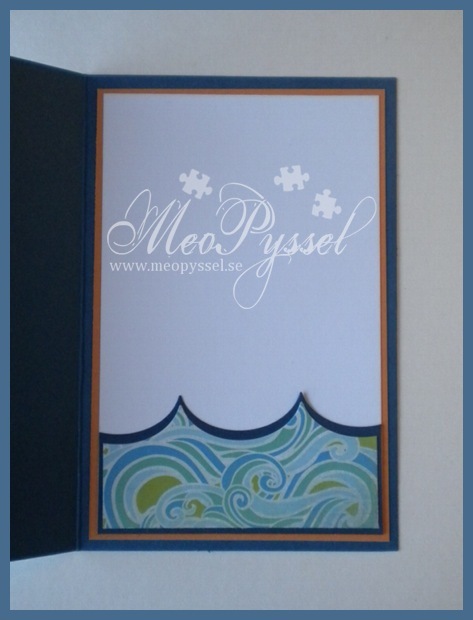 My card is inspired by the movie “Just like heaven” starring Reese Witherspoon and Mark Ruffalo. This is one of my favorite romantic movies, and I don’t really know why. But it’s perfect when you want a romantic one with a hint of sadness:). It’s about a boy that sees a ghost and it turned out that the ghost is girl who is in a coma. When i saw the clouds of this adorable stamp I just thought about this movie. Entangled in the plot is a garden and it was the garden that inspired my papers for this card. The blue-ish paper that i used also has an floral pattern, but it’s tone on tone with glossy details. The Stamp is from Papelitos Stamps and is called Angels Love. I really like it, it’s just so cute, but i have to admit I’m a bit disappointed due to the resolution it it. I did print it fairly small but I can see pixels which I don’t like.I tried something new when i Colored the hair. Both the girl and the boy is based on the Cool Grays, but the girl have a base-layer of green, and the boy has one in blue. i really like how different it turned out. The papers is from KaiserCraft and I bought this paperpack due to the floral paper long ago and just thought it would be perfect. 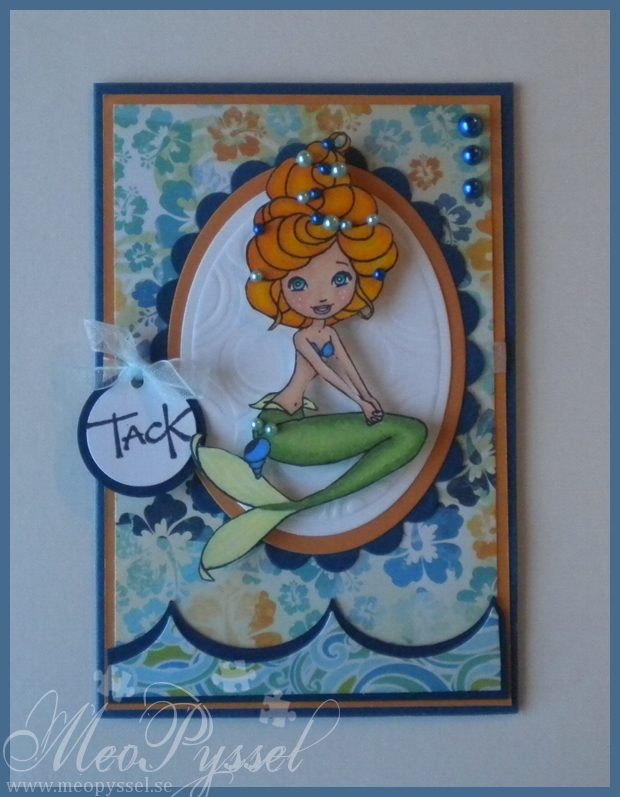 The layout is inspired by this weeks layout over at the Sketch N Stash. To accompany the card I also made a tealight-box. The though from the beginning was to make a tealight-card but I actually ran out of cardstock and couldn’t find a matching one downtown so it became a card and box instead. The box has an acetate-window that have been embossed with my swiss dot embossingfolder, but It might be a bit hard to see. 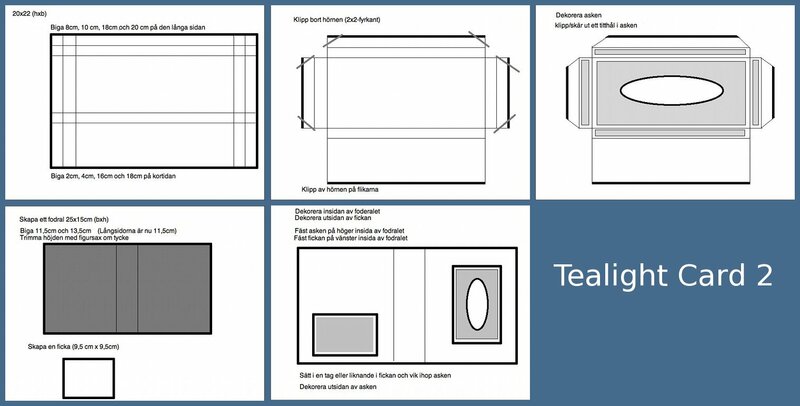 A long time ago i made myself a template for the tealight-card so I did use this measurements for it. The inside is made but it’s fairly regular so I didn’t get a photo. Stamp: Papelitos Stamps – Angels Love. CC Design – AmyR Sentiments – Big Words & Handy Sentiments. 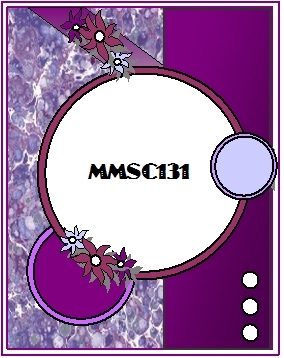 Dies: Spellbidners – Nestabilities – Scallop Circle, Circle, Labels Eight. My Favorite Things – First place award ribbon. So when i finish the House Mouse-card I still had some time over and i wanted to make a card for my dear friend that i feeling a bit down now so I want to cheer her up in the only way i can. A week or two ago i saw this card on the Casual Friday Challenge and i just love it so I wanted to make a clone. Yes i have started to clone cards, I’m trying to expand my style a bit and I think this help with widening my horizons. 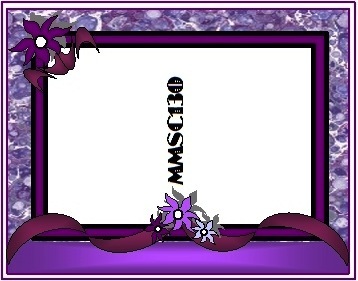 Anyway, my friends favorite color is purple so I wanted to incorporate it into the card. 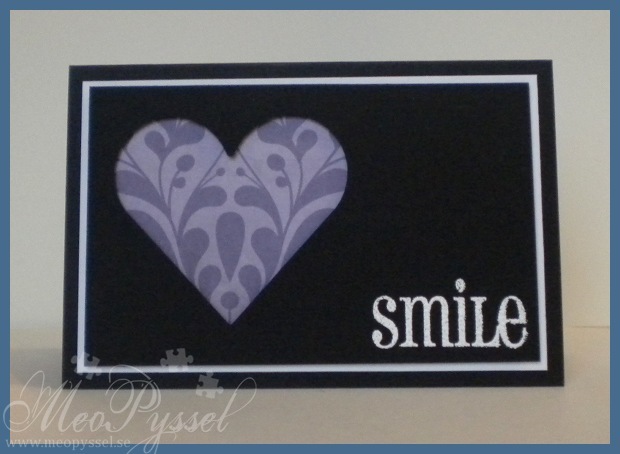 I started out with the same idea but with purple and white, or purple and black cardstock but it just didn’t look good so i went back to original card and used a black and white cardstock and only having some purple in the heart. The purple paper is from Kaiser Craft and the Sentiment is from AmyR’s Big Words and it’s embossed with White embossingpowder. I have to get me some ultrafine embossingpowder. The top layer, the black one with the heart-window is pop up on some dimensionals. 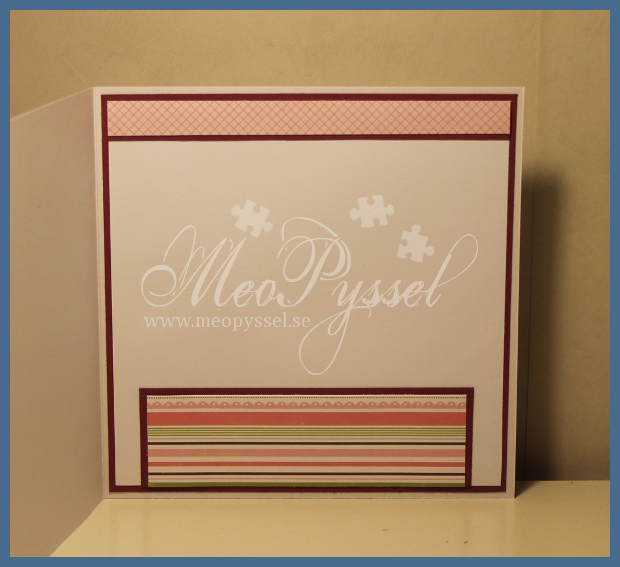 So earlier this week I got a nice package with two new stamp-sets from The Crafter’s Meow. I have so fallen in love with their owls and just had to order some of them. Sense i do have a card that i love, you can find it here, so i just had to buy the Christmas set and then the valentines one just were so cute so i couldn’t not order it. Right now I do regret I didn’t get the birthday one too but that might be next month buy. 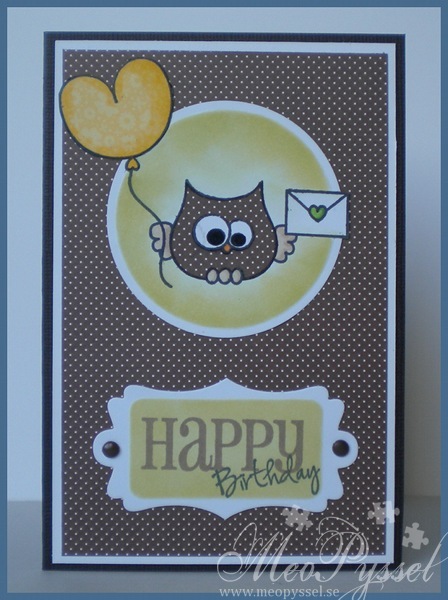 Anyway i wanted to make a simple and small card and i did of coarse wanted to use one of my new owls. I wanted to paper piece the owl so I found this brown dotted paper from Jillibean Soup, the mustard soup-collection, that i really liked. I kept going with the paper piecing and got a yellow paper from the same collection. I used the small nestabilities circle and one of the grommet tags from spellbinders to frame the image and the sentiment. Inside the circle and the grommet tag I inked with some memento new sprout and Pear tart, the photo ain’t showing of the green that well but the color looks really spring-fresh. 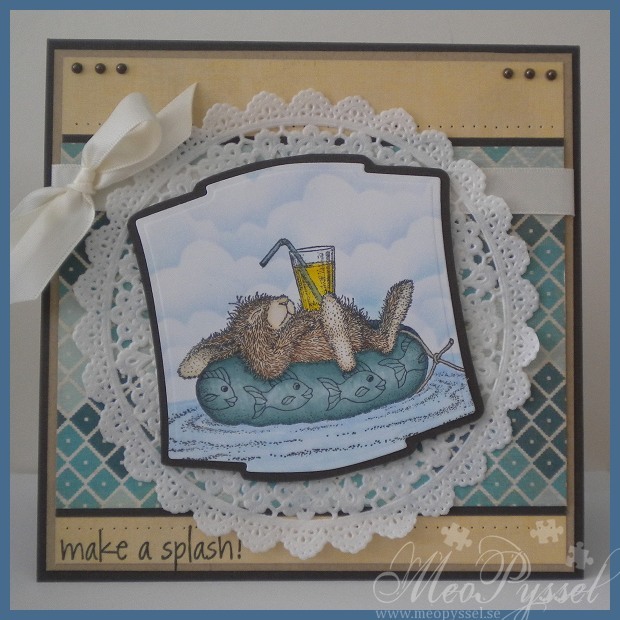 The sentiment is from CC Design and AmyR Sentiments stamps, and i just love then and this is the first time I use it even if i have played a lot on scraps. The sentiment is stamped with Memento’s tuxedo black and rich cocoa. The stamped inks have faded a lot due to the fact that i inked the green overtop of it, next time i need to do it in the opposite order… only problem is that i like to stamp the sentiment first and then cut it out with the spellbinders die. 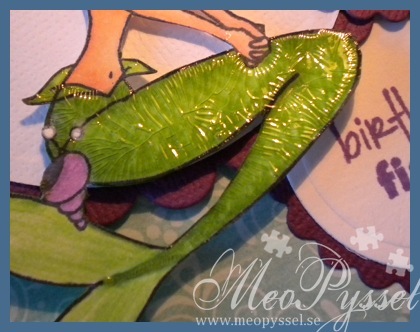 Stamp: The Crafter’s Meow – Happy Owlentines Day. CC Design – AmyR Sentiments – Big Words, Handy Additions. I got a nice tip from Birgitte the other day about an challenge over at the Copic Challenge Group that is about colors of the sea and of coarse got a nice fuzzy feeling and started out another of Sweet November’s mermaids, this time Fathom Calmsea. Sense the challenge was about colors if the sea i had to keep to the blue theme but i do some more water-like before so i wanted to make this one not so extremely obvious. So i checked through my stash and found DCWV’s Winter Combo stack and wanted to use it. I started out with the light paper and thought it reminded me a bot of seaweeds and corals. I colored Fathom Calmsea and the three Lios accordingly to the papers. I really like the green touches and I can almost see her peeking up from a puddle of seaweed:) I also tried a new way of coloring the tail. I wanted to get a more fish-like feeling with scales but didn’t want the normal round scale so i tried some horizontal lines. Björn said it look like mackerel so it it worked on him at least. The divider between the two background-papers is made with the Dainty Dots-die from My Favorite Things. For embellishments i used a baby blue satin ribbon and some light blue rhinestones. 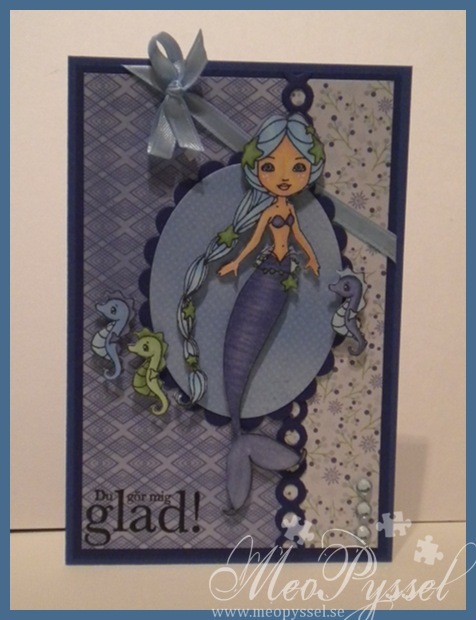 The card is made from this weeks Midnight Madness Sketch. Instead of the circular parts of the sketch i placed Lio to take up that space. The greeting is “You make me Happy” in Swedish.